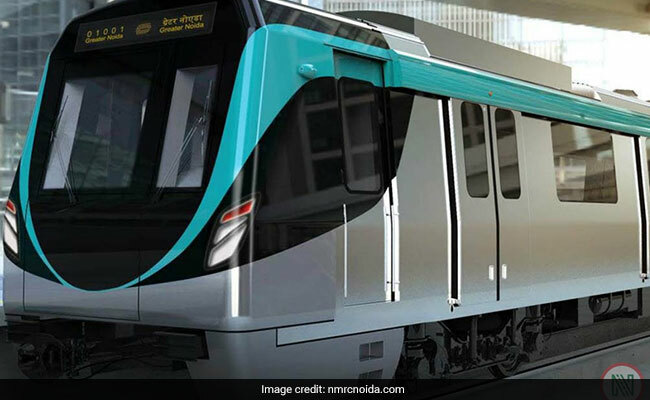 The Noida-Greater Noida Metro Rail line also called the 'Aqua line' is likely to be inaugurated on January 25 by Uttar Pradesh Chief Minister Yogi Adityanath, reported news agency Press Trust of India (PTI) citing the Noida Metro Rail Corporation (NMRC) officials. The rail corridor would run between Sector 51 station in Noida and the Depot Station in Greater Noida. There are a total of 21 stations on the corridor - 15 of them in Noida and six in Greater Noida -- spread over a distance of 29.7 kms, the report added. 1. The Aqua line, which will have 19 rakes with 4 cars each, will halt on the Sector 76, 101, 81, NSEZ, Noida Sector 83, 137, 142, 143, 144, 145, 146, 147, 148, and Greater Noida's Knowledge Park II, Pari Chowk, Alpha 1, Delta 1, GNIDA Office and Depot metro stations, said the report. 3. The NMRC had in December 2018 announced fares for the Aqua Line, with minimum being Rs 9 and the maximum Rs 50. 7. However, the interchange stations of the Delhi Metro Rail Corporation (DMRC) -operated Blue Line and the NMRC's Aqua Line are not seamless. Commuters will have to get down at the Sector 52 metro station of the Blue Line and reach the Noida Sector 51 station of the Aqua Line, covering a stretch of around 200 metres. 10. There are a total of 21 stations on the corridor.